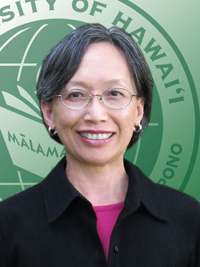 Advising students on immigration regulations that affect their status in the U.S.
Aloha and welcome to UH Mānoa! 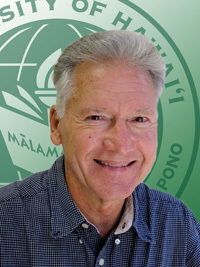 I have enjoyed serving as an international educator in higher education in both Georgia and Hawaii. Work-related travels have taken me to Cambodia, China, Hong Kong, Malaysia, Singapore, Taiwan, Thailand, and Vietnam, with Fulbright International Education Administrator grants to Japan and Korea. And even though I do enjoy working with rules, regulations and policies, my greatest joy is working with student leaders who promote international education and watching them gain experience in TLC – teamwork, leadership and cross-cultural communication. Current passions include the study of Hatha yoga, tai chi, and Mandarin Chinese at the University of Hawaii at Mānoa Confucius Institute. 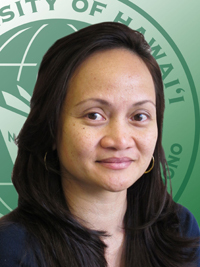 Message to international students: The ISS Office is the #1 resource for international students at UH Mānoa. If we do not know the answer to your question, we will help you find it! I wish you all the best in meeting your educational, personal and professional goals! I went to Nigeria, West Africa, as a Peace Corps Volunteer in 1966, and stayed after to work as a principal in a trades school there. In my lifetime, I have also worked as a Sunday school teacher and a firefighter and National Park Ranger for Yosemite National Park. Now I am at ISS and hope that I can help international students while they are here. My advice to students: Don't take a pill; have a laugh. 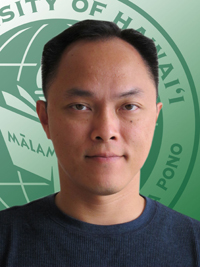 I was born in Vietnam, raised in Arkansas, went to college in Ohio, and lived in Japan before coming to UH Mānoa to complete a Master's in Asian Studies. Growing up as an immigrant and spending time abroad has greatly shaped my worldview and sensitivity to those who are "strangers in a strange land." In my spare time, I lead a laid-back lifestyle (i.e., cheap) and try to live out my childhood dreams through my two boys. Aloha! My name is Karen Michael Mikel and I am excited about being your international student adviser. I am a proud alumni as I have received both my undergraduate (2003) and graduate (2007) degrees in Asian Studies here. I come from Malaysia but I have been living in Hawaii since 2000. I loved my college years and now I love working with international students. I hope to assist you achieve your academic and professional goals. Outside of the office I enjoy eating out and yoga. I also love to travel domestically and internationally. Attending college is a great opportunity to grow, explore and make connections, make the most of it!